Forecast seems fine what's the issue? 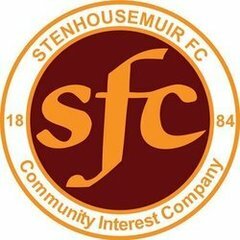 Seems no danger of being off,looking for a Stranraer win with the same attacking system which seen us score 3 against EF,keep it tight at the back hopefully. This looking fine to go ahead today? Another new signing being announced today. We might actually be able to name some subs fit enough to play tonight. I've just driven from Dumfries to Kirkcudbright and the weather is brutal. If it's as bad in Stranraer I wouldn't be surprised if it's off. Hope not, I'm looking forward to this. It's been steady stair-rods but is supposed to slacken off in about an hour. Has anyone consulted East Fife fans on this decision? Pish. Sensible to call it off before away fans would have set off though. Hope everyone checks their phones before hitting the road. Happy it is off as hopefully will be rearranged when we have more fit players, but why on earth was the rescheduled date so close to the original date? why on earth was the rescheduled date so close to the original date? This is different weather, but I did wonder that at the weekend. Seemed a bit optimistic. 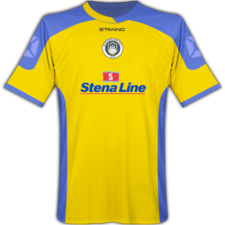 We demand that Stranraer withdraw from League One.